TIL 2018, the even co-located event with LED professional Symposium (LpS 2018), proudly announced this week its curator for the next edition of the event. In his position as ‘a master of light’, a provocateur and a futurist, Rogier van der Heide is on a mission to inspire and empower every lighting professional around the globe. The transformation of lighting into a digital technology does not just create new technical possibilities. In addition, it empowers professionals of all backgrounds to create meaningful solutions with light. At the 2018 edition of Trends in Lighting, the four knowledge tracks will enable everyone to discover the incredible breadth of digital lighting applications and to exchange lighting passion, expertise, and enthusiasm. Rogier van der Heide is an awarded IALD lighting professional. 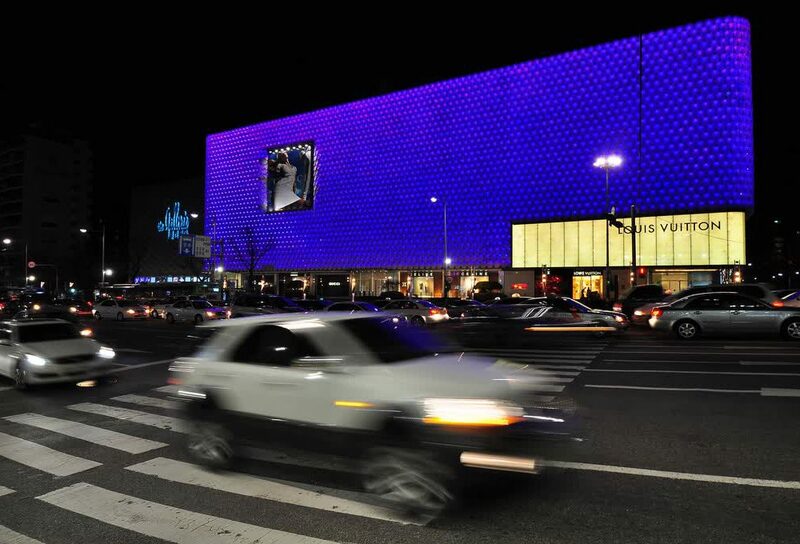 Here some of his work, the Hanhwa Galleria West in Korea. Rogier van der Heide, an IALD Radiance Award winner, was the first choice for the Luger Team when deciding on a collaborative partner. Having nearly a decade of experience in international lighting technology events, Luger wanted to collaborate with a strong creative leader in Light for TiL 2018. The change to digital technologies light and lighting coming in recent years inspires LpS to bring the two worlds of lighting technology and innovative light applications together. It’s now the right time for it. Light has been the field of specialists until now, accessible only by the ‘educated’. The entrance barrier was high. Now, after running into the digital age, light is perceived differently: light now easily adds different values in applications, ranging from “health and wellbeing” to “light that sells” and “connected light”. The role of the lighting designer is shifting and others are entering the field such as art directors, designers, business leaders, product designers and even doctors. Light is ‘open-source’ now and anyone can create value with light. Mark your calendars and don’t miss the opportunity to visit TiL 2018 in Bregenz and get inspired by Rogier van der Heide as well as many other lighting experts that share their vision on the future of lighting!